It's really interesting that everybody seems to want different things - I guess you can never please everyone. I'm currently trying to decide where I want to take my content in 2015 and this has given me some food for thought. I'd love to do my own survey but I'm scared noone will reply!! 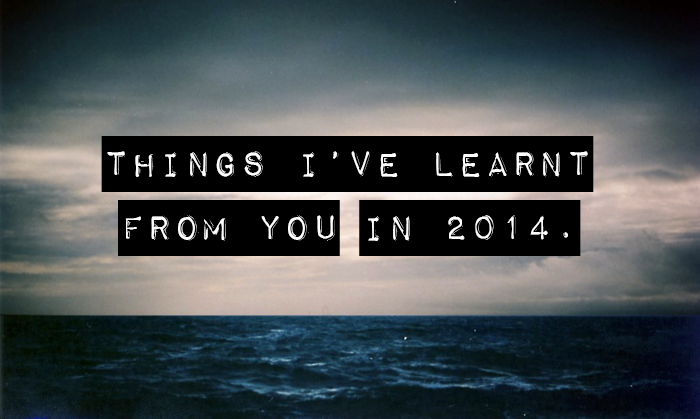 I'm really looking forward to seeing what this blog brings in 2015! I love that you did a survey and genuinely want (and will take on board) feedback. It shows that you're down to earth and I think people relate to that wholeheartedly - it's probably why I love you and your blog so much! I always say you're amazing if not 'returning' comments themselves but responding to the blogger with a comment on their blog. It's so hard with blogging these days you must listen to your readers but of course you cannot please everyone all the time but thats where I like a bit of variety to hopefully give everyone something along the way. Glad you found your reader survey helpful. Lifestyle blogs are my favorite, because you get to see more of the blogger behind the blog (you!) :D I also follow a ton of fashion, food, DIY, travel, etc. blogs too, but lifestyle blogs remain the most relevant to me, because often I don't have the money to spend on brand name clothing or a plane ticket, and it's hard to find time to do most DIY projects I see.